How amazing is this illustration of Ariel from Disney's The Little Mermaid? I love the style, attitude and the 'Thingamabobs? 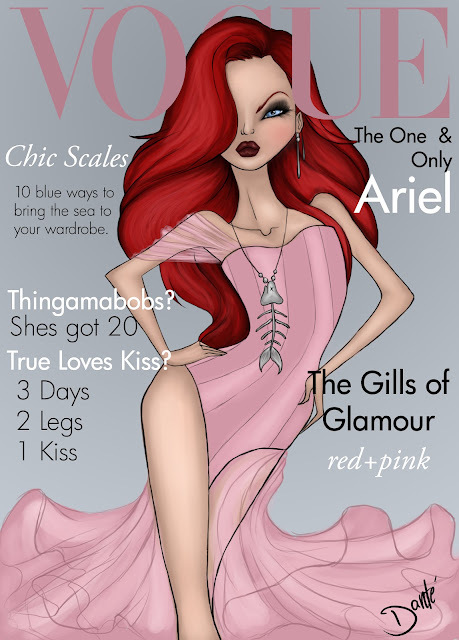 She's got 20' cover story (I was such a Little Mermaid nut when I was younger!). You can see the rest of the series, drawn by Dante Tyler, here. Who's your favourite?